A dialogue between a waiter/waitress and a customer at a restaurant. Great to practise speaking and food! 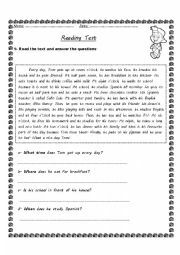 A READING TEST ABOUT TOM´S DAILY ROUTINE WITH WH- QUESTIONS AND A TRUE AND FALSE EXERCISE. 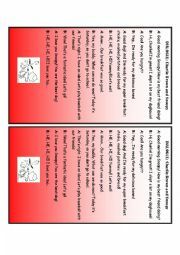 Reading about a postman, Henry Parker plus TRUE/FALSE sentences and questions to answer. 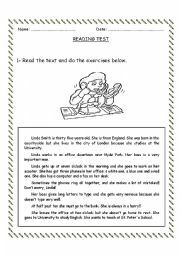 A Reading Test about a secretary, Linda Smith. 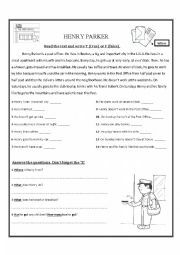 10 questions to answer using third person singular. 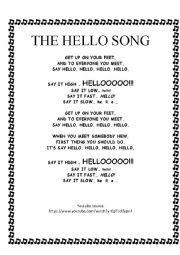 A great hello song to sing every day with the little ones! 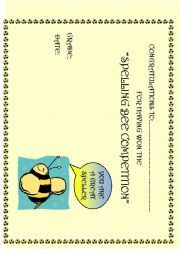 I use it with third graders and they just love it. Link from you tube is provided. Sts have to matche the jobs with the definitions and then answer questions about professions-occupations. 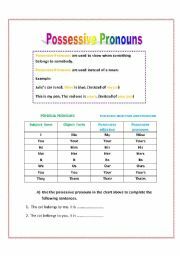 A worksheet to practice possessive pronouns, it also includes a chart with all English pronouns. 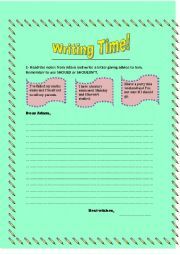 Five Writing Tasks for different levels (intermediate to advanced). 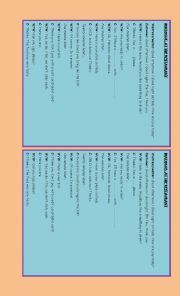 Students have to write two letters giving advice, a magazine article about "Healthy Lifestyle", a letter of application,and an e-mail to a friend. A nice dialogue between Chalie Brown and Snoopy... sts will enjoy it!